China is preparing to launch a Mars probe in 2020, and it is expected to arrive on the red planet in 2021, aerospace expert Ye Peijian has said. "Although we are not the first Asian nation to send a probe to Mars, we want to start at a higher level," said Ye, an academician of the Chinese Academy of Sciences. The probe will include an orbiter, a lander and a rover. The orbiter will conduct global surveys of Mars, and the entry device will land a rover on the surface. Parachute and reverse thrust engine technologies will probably be used in the landing, according to Ye. "We have less than five years till the launch, but we are confident. The probe is being developed by the team that completed the Chang'e-3 lunar probe," says Ye, leader of the team with the China Academy of Space Technology (CAST). Unlike the lunar lander of the Chang'e-3 probe, the Mars lander will carry a gasbag, a parachute and reverse thrust engines, which will together secure a safe landing, according to experts from CAST. "The best and most direct method to look for evidence of life on Mars is to explore the surface. Mars will be a key focus of China's deep space exploration in the future," Zheng says. But communicating with the Mars probe is still a great challenge. China needs to develop a long-life, powerful relay communication device on the orbiter, says Zheng. 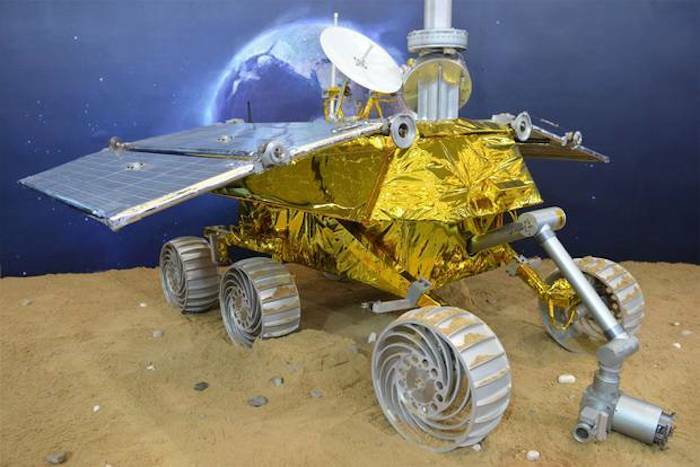 So how will the Mars rover differ from lunar rover Yutu (or Jade Rabbit), which China sent to the moon at the end of 2013? In an exclusive interview, Jia Yang, deputy chief designer of the Chang'e-3 lunar probe, tells Xinhua the Mars rover will have a better autonomous capability as Mars is much further away than the moon. The distance between Mars and Earth ranges from 55 million kilometers to 400 million kilometers. "The Mars rover should be able to sense the environment, plan its route, conduct scientific exploration and detect faults autonomously. It should be a mobile intelligence," Jia says. Two-way signal transmissions between Mars and the Earth could be as long as 40 minutes. So most of the time, the rover will deal with things on its own. Ground controllers will solve the complicated problems, Jia says. Chinese space experts say they still face a lot of technological hurdles in developing the Mars rover, which should be stronger than the lunar rover Yutu. Since Mars is further from the sun than the Earth's moon, its solar panels should be as large as possible to generate more electricity, Jia says. "Although the temperature change on Mars is less drastic than that on the moon, the Mars rover still needs an 'overcoat' to keep warm," Jia says. Sandstorms often form on the red planet during summer, which inspired the story in the Hollywood blockbuster "The Martian." During the sandstorms, the solar energy will drop dramatically. Chinese space experts will design a "sleep" mode for such occasions, says Jia. A prototype model of the Mars rover was displayed at the Airshow China 2014. It was about 2 meters long, with six wheels. Its size, weight and technologies were close to those of the American Mars rovers Spirit and Opportunity. Unlike the rover Curiosity, which uses a nuclear battery, the Chinese Mars rover will use solar power. "Exploring the red planet and deep space will cement China's scientific and technological expertise. The knock-on effect is that innovations and independent intellectual property rights will surge, and, as a result, China's core competence will increase, pushing development in other industries," says Jia. "As China continues with its lunar mission, glimpsing further and further into deep space, it will play a bigger role in solving key frontier scientific questions," Jia says.